2018 was a memorable one. We gathered North America’s most influential marketers and pioneers of the digital landscape. Meet the trailblazers. 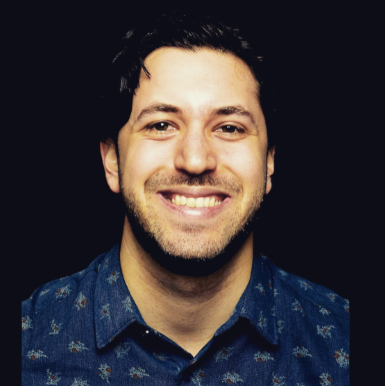 CEO & Founder Betterwith Foods Inc.
Aaron Orendorff is the Editor in Chief of Shopify Plus as well as a regular contributor to sites like Mashable, Business Insider, Fast Company, The Huffington Post, Lifehacker, Entrepreneur, and more. He’s been named by Forbes as a Top 25 Marketing Influencer to Watch and one of the Top 10 B2B Marketers. 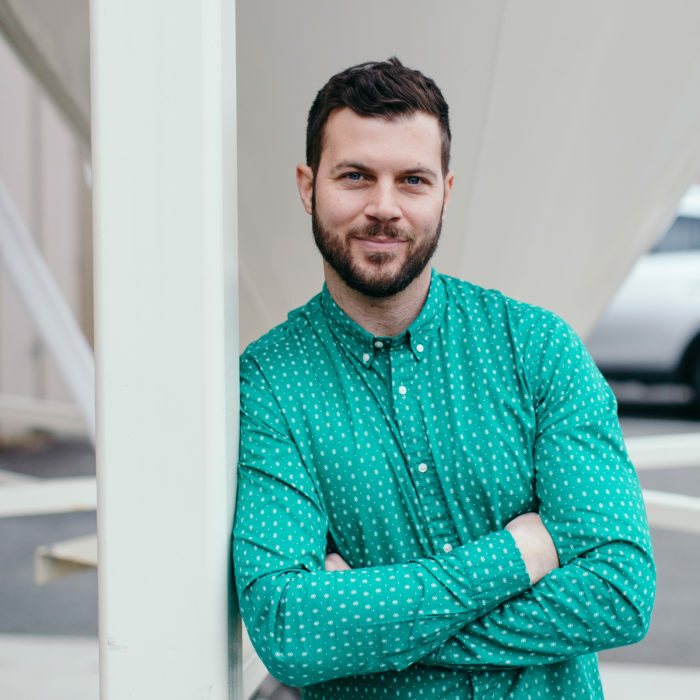 Adam leads Agency Media with hands-on direction and client-focused creative. He’s the Swiss Army Knife of video production and a master at directing stories. He loves to uncover people’s narratives and uses that to highlight their business. 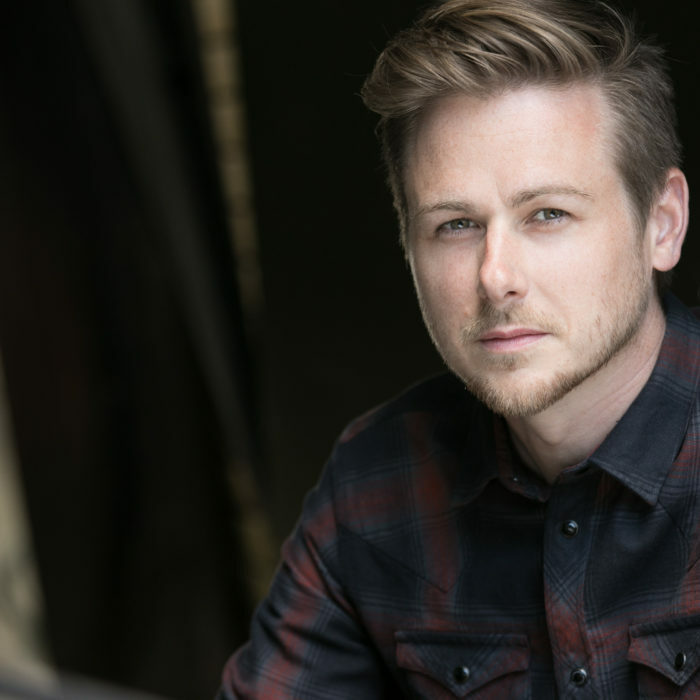 Adam has produced an award-winning feature film, directed and produced commercials, television shows, documentaries, corporate videos, and managed social campaigns. In his free time he can be found binge-watching films and re-enacting them. Adam Mills is the Sales and Marketing Director as well as the co-founder of Four Winds Brewing Company. After many years in the sales field for his former family business, Mills Paint, Adam took his experience and passion for entrepreneurialism and opened Mills Pro Painting. 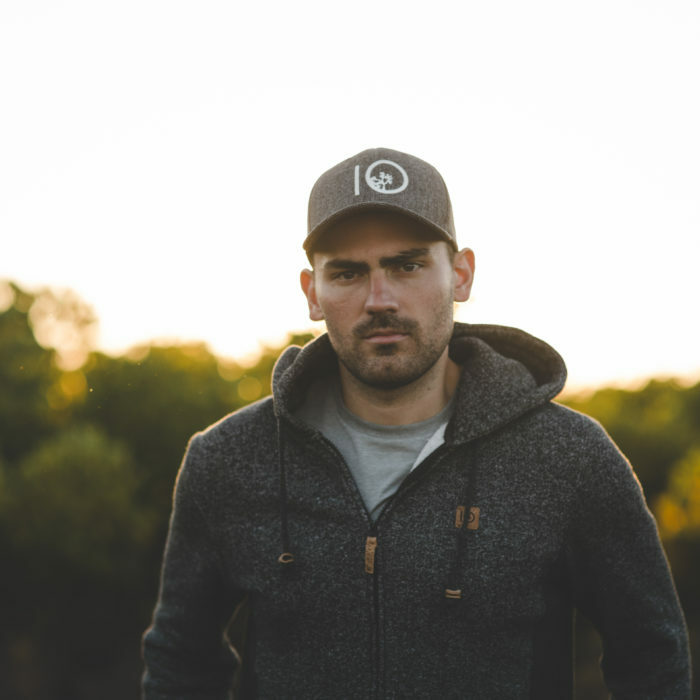 Here, Adam strengthened his natural creative sensibilities by working alongside top interior designers and honing his artistry as a music producer and songwriter in his free time. In 2012, Adam joined brothers Brent and Sean and father Greg as they laid the groundwork for what would become Four Winds Brewing Company. Adam worked with his longtime friend and respected artist, Andy Dixon, to produce the initial brand and overall aesthetic of Four Winds. Today, Adam’s role at the brewery is varied, consisting of general management, sales and marketing team oversight, and positioning the company for growth. 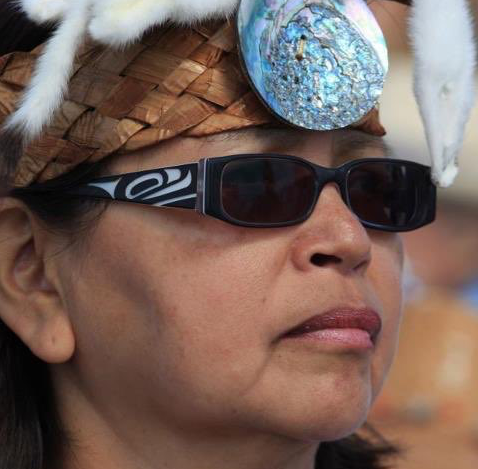 Tsawaysia Spukwus whose English name is known as Alice Guss (nee Harry), is a Squamish Nation member, born and raised in Squamish, British Columbia, Canada. She is a mother of three children who are strong, committed and active in the preservation of her Culture and Heritage. Tsawaysia participates in all aspects of First Nations culture, language, community, governance, education, traditional art forms, healing, recreation, singing, drumming, dancing, and storytelling. Allen Gannett is the founder and CEO of TrackMaven, a marketing analytics platform whose clients have included Microsoft, Marriott, Saks Fifth Avenue, Home Depot, Aetna, Honda, and GE. He has been on the “30 Under 30” lists for both Inc. and Forbes. He is a contributor for FastCompany.com and has an upcoming book, The Creative Curve, on how anyone can achieve moments of creative genius, coming out in June 2018 from Currency, a division of Penguin Random House. He was also once a very pitiful runner-up on Wheel of Fortune. Andrew has been a businessman for over 25 years. As President of the Westlund Group, he has diversified his businesses to span a number of industries. Fascinated by the human element of business, he believes that engagement is the most powerful factor in business. He runs a sales component through each company—no matter the industry—and aims to have 20 businesses and 500 employees within the next ten years. 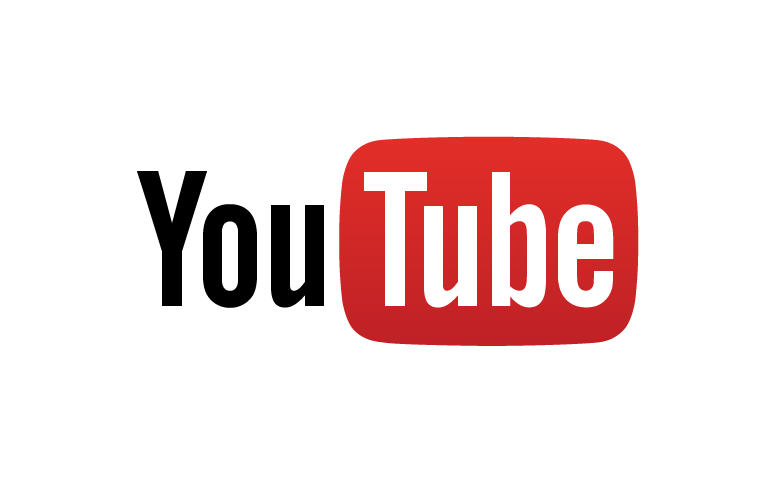 Bob is currently the Global Solutions Manager for YouTube. His team is designed to help brand marketers around the world develop remarkable brand strategies and activation plans that intuitively consider the rapidly changing digital age we live in. Previously, Bob built his 10,000 hours working on the client side as a Brand Marketer at Nike, Unilever, and Kraft and achieved his Masters in Creativity at Cannes Lion Festival of Creativity. 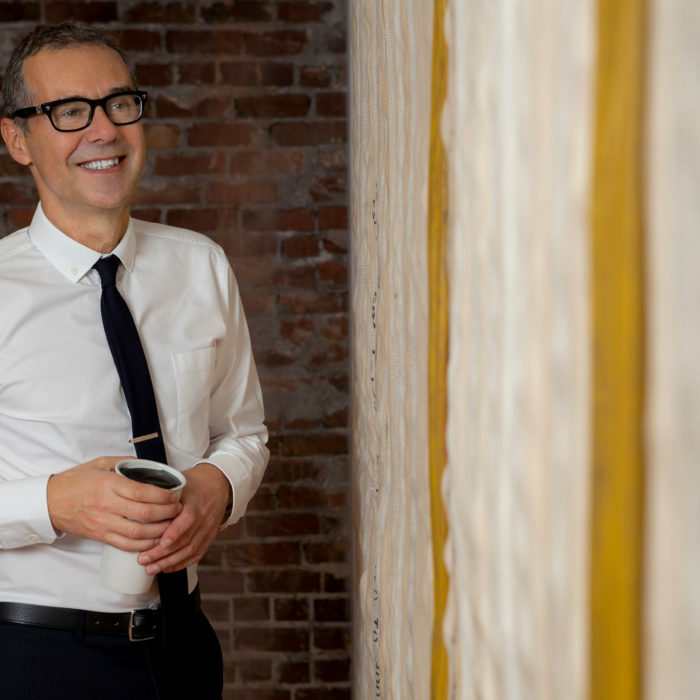 Bob Rennie is the founder of Rennie Group, a company that has redefined the business of real estate, offering specialized sales, marketing, intelligence, and information & technology services for over 42 years. Bob is recognized for his leadership in envisioning new and innovative strategies in development risk management and real estate marketing. His curated team of experts in the field of real estate and development focus on strategy, visioning, research, consumer intelligence and project execution. 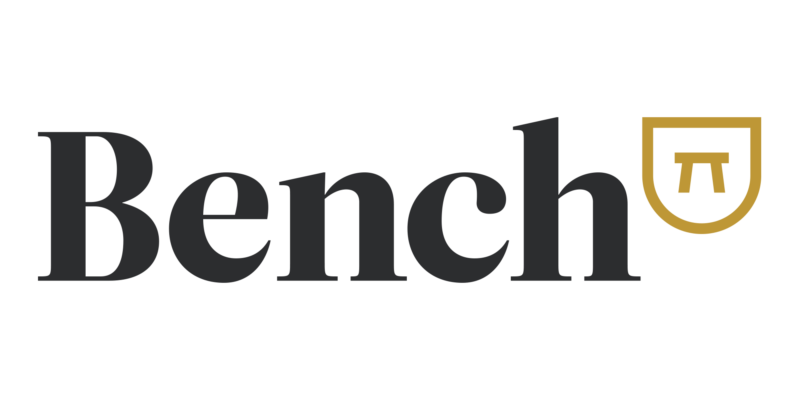 Bench is the largest bookkeeping service for small businesses and independent professionals in North America. 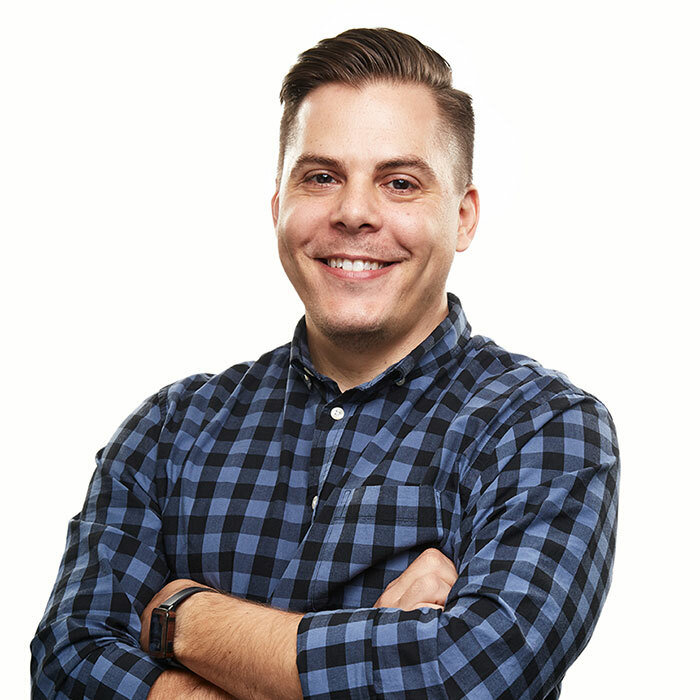 Cameron is focused on building Bench’s brand through a customer-centric approach, leading communications, content, inbound and customer marketing. 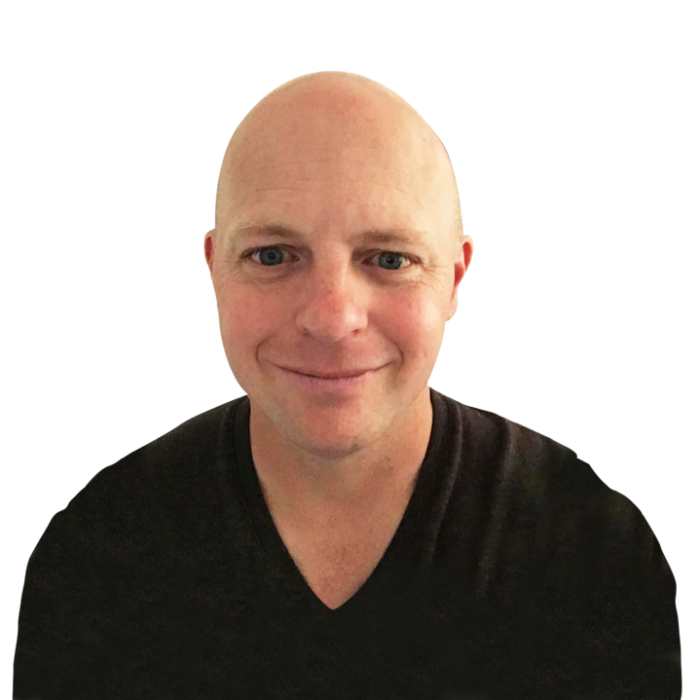 He has more than 20 years of marketing and digital media experience building effective teams with Hootsuite, Intrawest, Four Seasons, General Motors, and Microsoft. 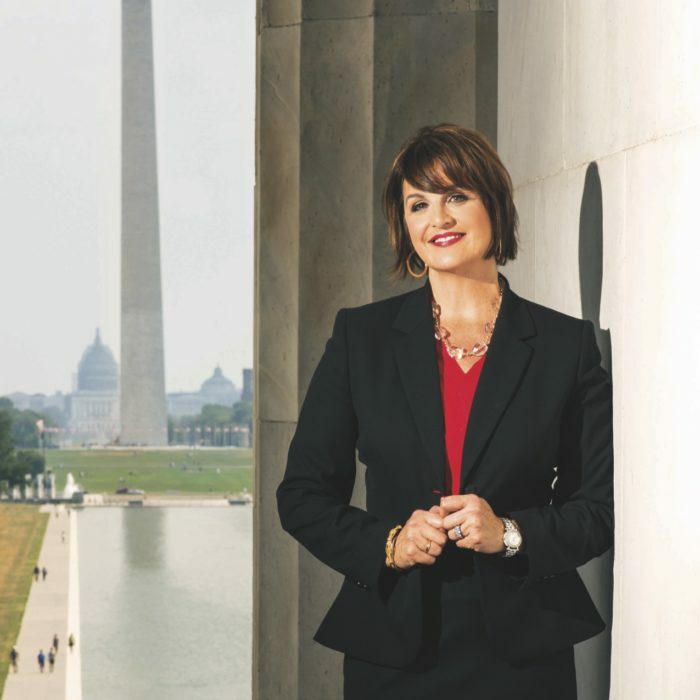 Caroline is a pioneer in the growing field of executive relations and leadership branding. After a decade of working in lifestyle and tech PR, she teamed up with award-winning journalist, Remy Scalza, to launch CSuite Content. Their boutique thought leadership agency focuses solely on CEOs and senior executives, helping them define their personal brand, share their vision with a global audience and bring a human story to their business. Her work has helped world-class business leaders build and leverage their social media presence, strategically navigate communications challenges, make waves on the speaking circuit and get published in top-tier press. 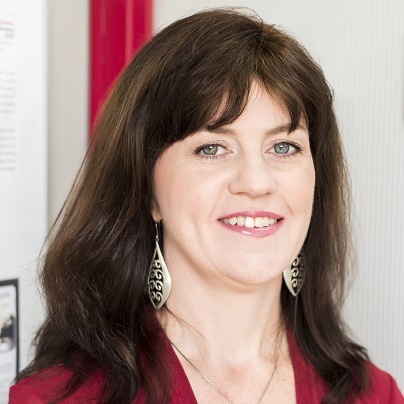 Caroline is passionate about encouraging clients to think more critically about their values, vision and voice while establishing them as industry experts and influencers in the process. 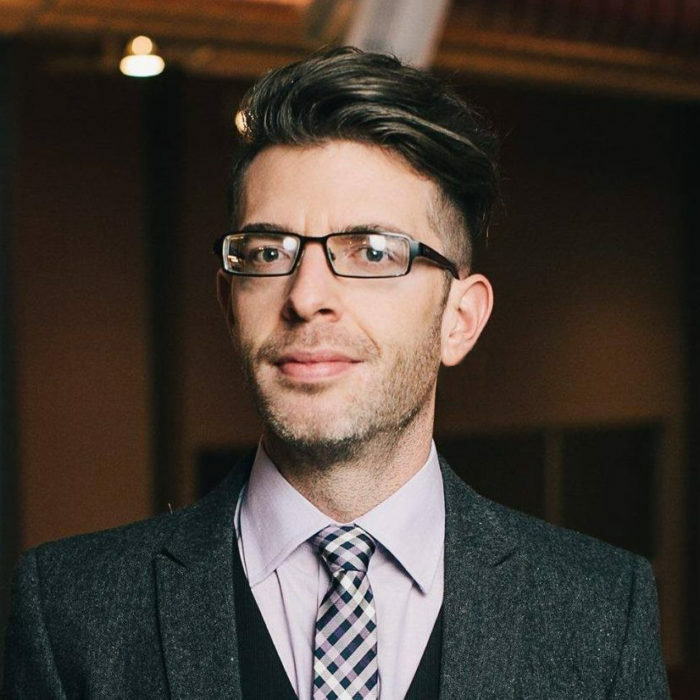 Daniel is a serial entrepreneur and passionate changemaker. 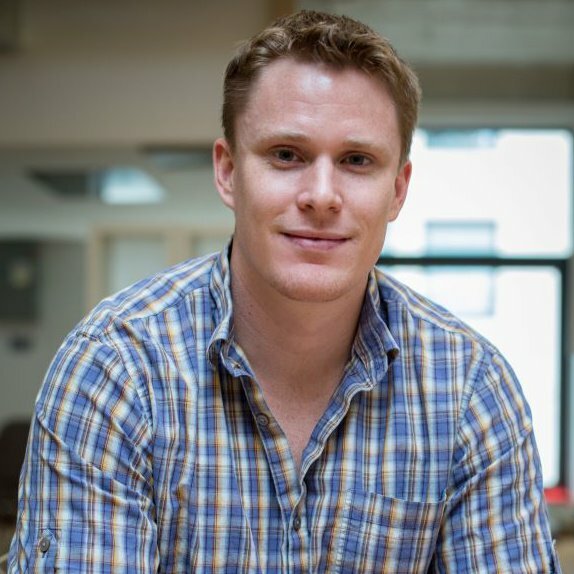 He recently sold his last two venture-backed companies and joined Airbnb full-time. Daniel also spoke on stage in front of 20,000 youth at We Day, directed a film series on the sharing economy, received a monthly grant from the Austrian government to conduct research on the European sharing economy, and traveled to over 30 countries. 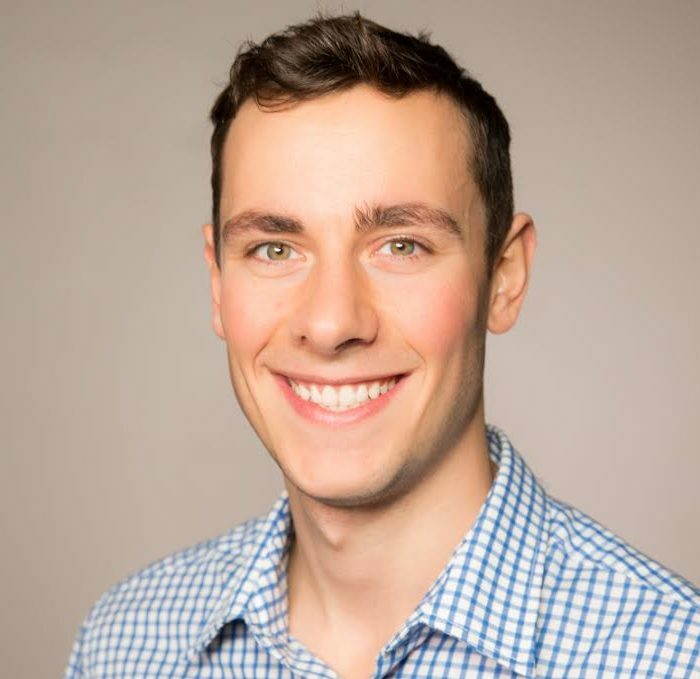 Daniel has been named Top 30 Under 30, a Canadian G20 Delegate and was named the top student entrepreneur in Canada and top three globally by Entrepreneurs’ Organization. In the last year, Daniel spoke at the G20 Young Entrepreneurs’ Summit in China, completed a 100km race along the Great Wall, and spoke to both Justin Trudeau and Prince William on the importance of fostering youth innovation. Daniel now lives in Toronto but you can still occasionally catch him on the Grouse Grind or swimming lengths at Kits Pool. 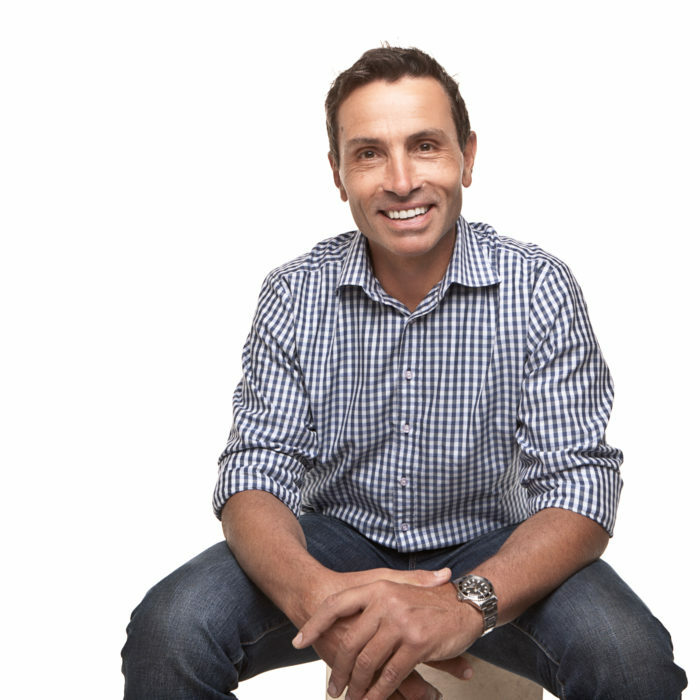 Dario is an investor and entrepreneur with 20 years experience building well-known technology companies such as Quietly, Foodee, and Hootsuite, the world’s largest social media dashboard. 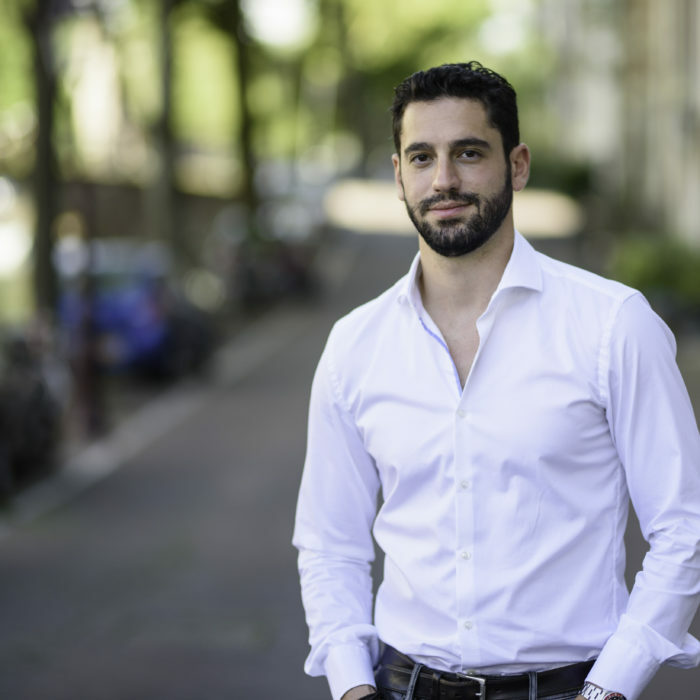 An active advisor and mentor, Dario has presented to audiences all over the world, delivering insights on leadership, startups, fundraising, and building successful technology companies. In his spare time, Dario co-curates and produces Art Rapture and is on the board of Ballet BC, one of the world’s top contemporary dance companies. 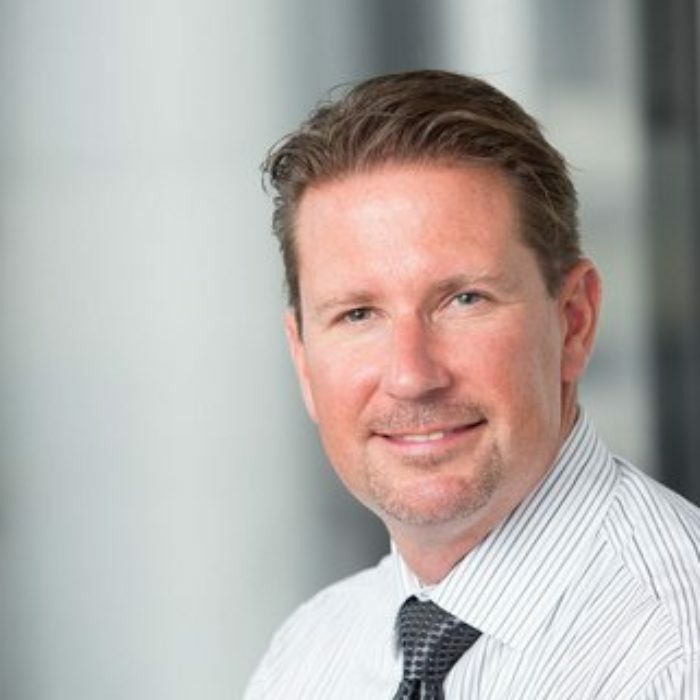 Dave Dickson leads initiatives in innovation and emerging businesses at Adobe, including efforts in mobile, virtual/augmented reality, conversational experiences, and the Internet of Things. 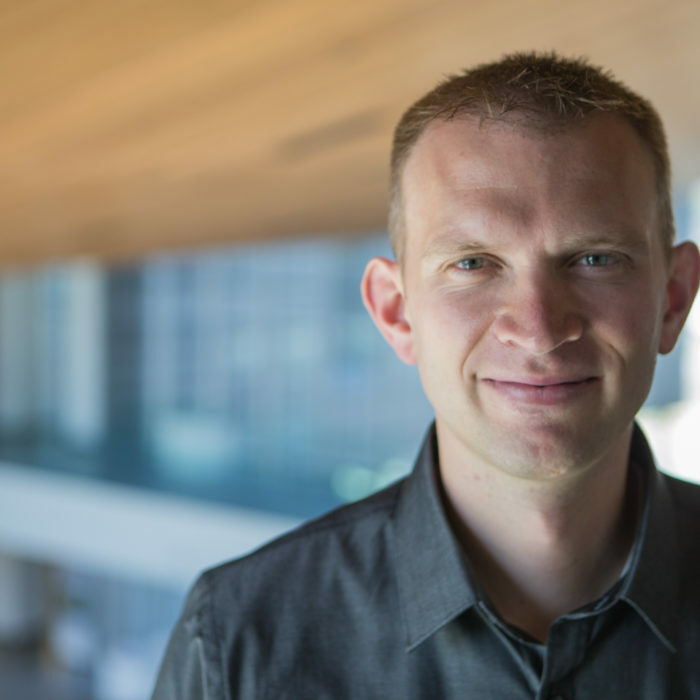 Working in Adobe’s seed incubator, Dickson has deep experience in growing concepts and prototypes to enterprise-scale businesses. 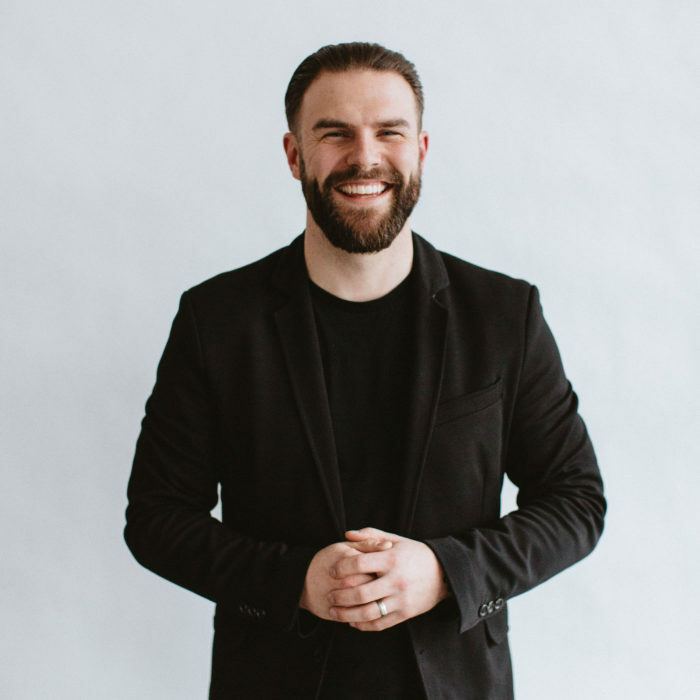 He was named a top rising marketing leader by the Association of National Advertisers (ANA), a professional association representing 10,000+ leading global brands. 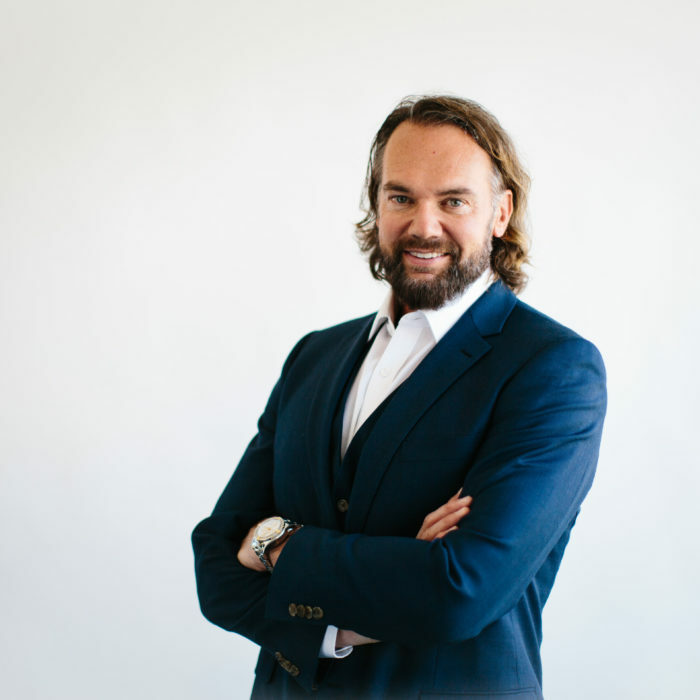 A seasoned CEO, Dave Dinesen founded his first company, BackCheck, in 1997 and took it from startup to the largest background screening company in Canada and a leader in the UK. With over 500 employees in three countries, BackCheck served over 15,000 corporate customers and screened millions of people in Canada and the UK. A successful sale and merger with a larger US competitor, Sterling Infosystems, completed in 2012. The merged business was renamed Sterling BackCheck and Dave joined the executive team and ran the global business units for Canada, the UK, and the Philippines. The company was sold again to Goldman Sachs in 2015 and Dave left the organization and founded WideOcean Strategies Ltd. a boutique venture capital and consulting firm. Since late 2015, Dave has been working with Bevo Farms Ltd. to put the CubicFarm Systems team and business strategy in place. In mid-2016, Dave agreed to serve as CubicFarm Systems Corp’s first CEO. Dave lives in Cloverdale, BC with his wife and two sons and enjoys music, racquet sports, and boating along our fabulous West Coast. 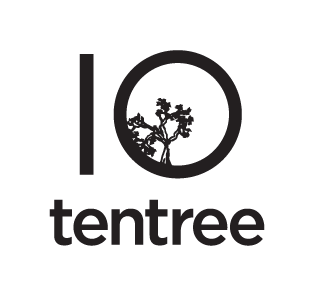 The team founded Tentree while Derrick was still in University. Immediately after Kalen and Dave returned from their trip to Hawaii, where the idea for Tentree was born, they enlisted Derrick. With the previous experience in tree planting, along with Derrick’s shared interest in entrepreneurship and conservation, it was a natural fit. Derrick has a background in finance and private equity, and today, he serves as the CEO of Tentree. 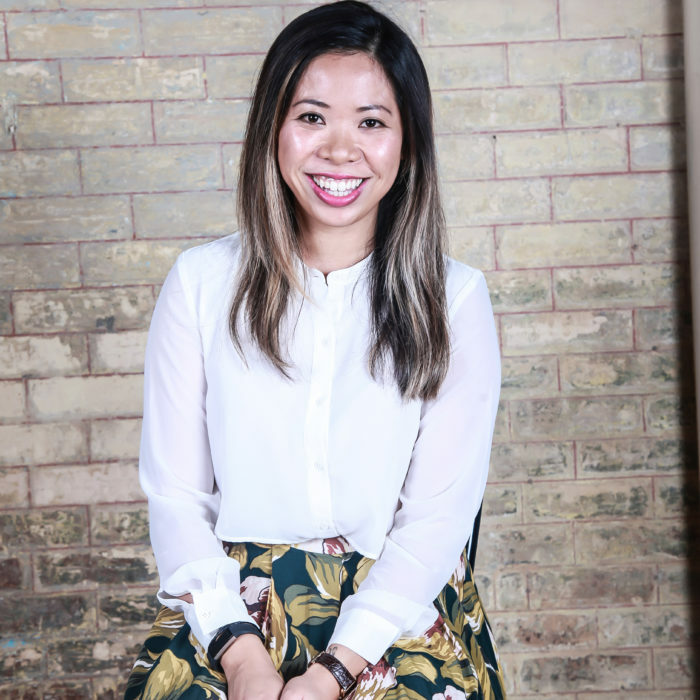 Diana Luu has been the Head of Marketing Solutions at LinkedIn Canada since 2016. She joined LinkedIn in 2010 working in various positions across North America. Prior to joining LinkedIn, Diana worked at Bell Media managing Affiliate Relationships. As the Head of LinkedIn Marketing Solutions in Canada, she is responsible for shaping and executing the growth strategy for the company’s Marketing Solutions business in the Canadian market and played a vital role in growing the team from 10 to 90 across North America. Diana also plays an active role in shaping LinkedIn’s inclusive workforce culture as the current Global Lead of LinkedIn’s Women’s Initiative Investment (WiN) program, an initiative to increase the number of women in leadership positions and to promote a culture where every employee can thrive and reach their fullest potential. 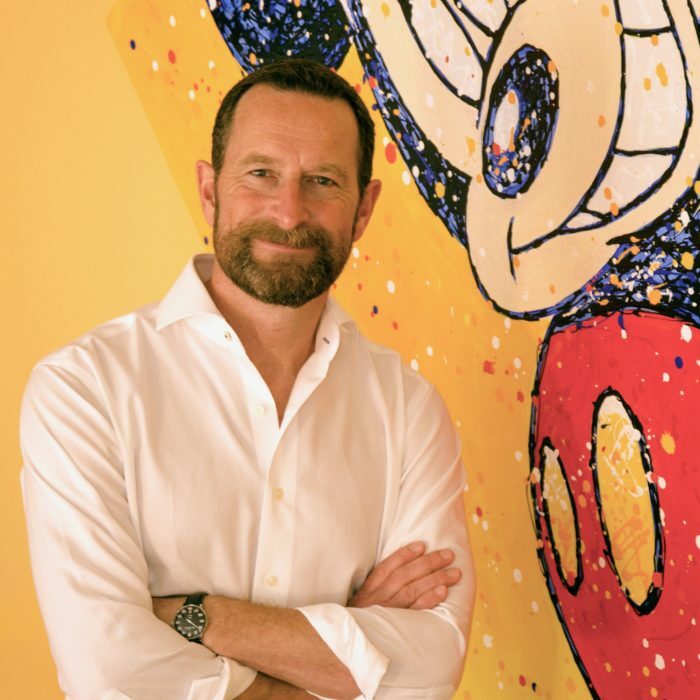 Most recently Duncan was Vice President of Innovation and Creativity at Disney. Heading a team that served as both “creative ideation consultants” and “cultural change agents” to Disney Imagineering, Pixar. Lucas Film, ESPN and Disney Parks, he designed a creative problem solving process, that captures unlikely connections, leading to both fresh thinking and revolutionary ideas. Emily Taylor is the Director of Marketing for award-winning fan data platform, Tradable Bits. She leads a team that helps the biggest music and sports companies in North America implement fan-based marketing strategies and sell more tickets with personalized ads. She’s the author of ebooks, white papers and expert op-eds, as well as a ghostwriter for several creative geniuses in the Vancouver tech scene. She’s spoken at dozens of conferences and has taught marketing workshops at every major university and industry school in Vancouver. Emily has experimented with social media since before you could “Like” something on the internet, and continues to research and imagine where social tech will be in 10 minutes, 10 months and 10 years from now. Fun fact: in her free time, Emily empowers women through a dance program and performance group called Luminesque Dance. 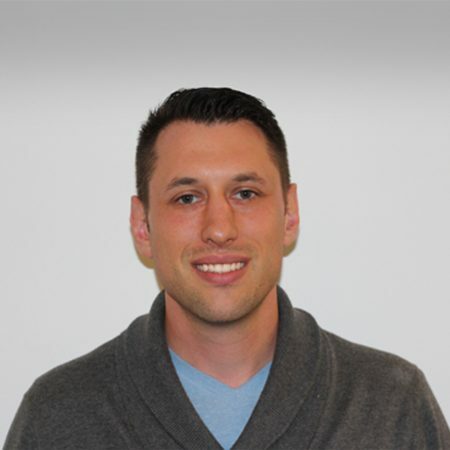 Greg Perotto is a passionate storyteller, marketing and communications executive, brand ambassador, and world traveler. 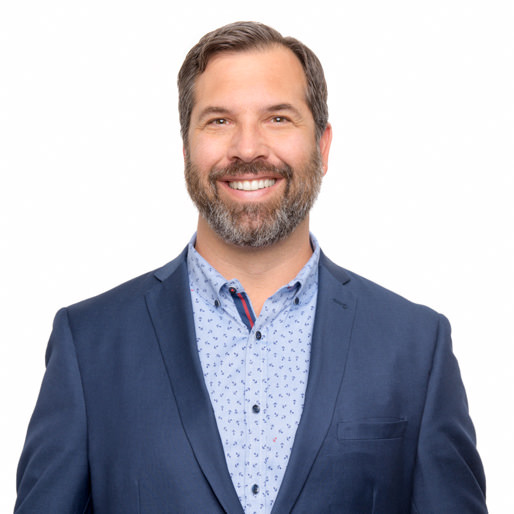 Greg currently serves as Global VP of Brand and Communications at Hootsuite where he leads a team of more than 40 employees in bringing the industry-leading brand to life, engaging and inspiring customers, partners, employees and investors to action. Jana is the VP of Marketing & Culture at Rebel.com.  At Rebel, Jana directs marketing strategy and culture-building initiatives that share Rebel’s story and bolster their core belief – those who contribute make us better. She nerds out over marketing strategy, culture building, obscure travel destinations, and helping people bring purpose to their work. 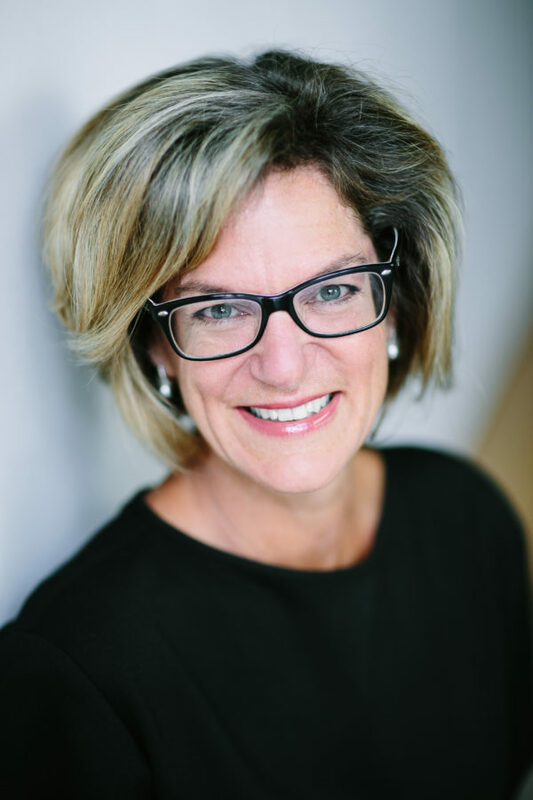 As Vice President, Corporate Marketing, Jill Schnarr leads sponsorships, community investment, social purpose marketing, corporate events, social media, and media relations at TELUS. She is also the Executive Director of the TELUS Foundation. With over 25 years of industry experience, Jill is a dynamic and engaging leader with a natural ability to build strategy and enable collaboration. 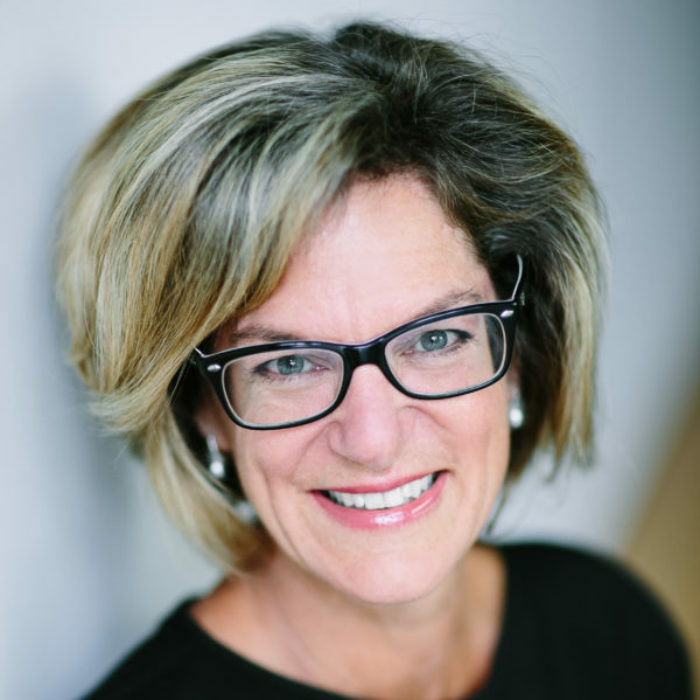 She has significantly influenced TELUS’ reputation as a global leader in corporate citizenship, enabling TELUS to be the most trusted telco brand in Canada. She has ensured our social purpose marketing focuses on business benefit, enabling every dollar invested in the community to return over 4 times back to TELUS in business impact and 150% to the community in societal impact. He currently lives near Vancouver, Canada with his family where he coaches baseball and hockey, though not at the same time. He travels frequently to Seattle, Silicon Valley, New York, and other tech hubs around the world. 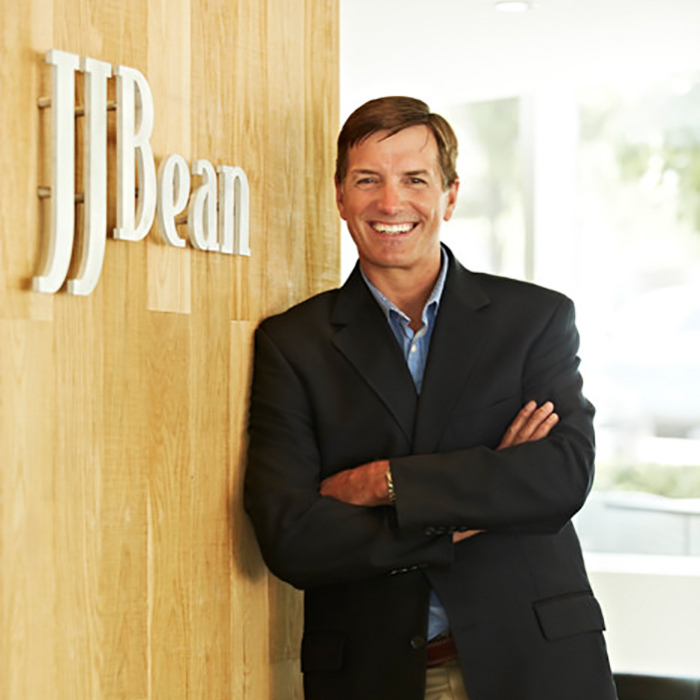 From its humble beginning of a 200 square-foot retail outlet on Granville Island, JJ Bean has grown to 19 prime Vancouver area locations and a considerable national wholesale business. Since 2016 JJ Bean has opened four Toronto locations. JJ Bean has been voted by the Georgia Straight reader poll as the best coffee chain every year in Vancouver since 2008. In 2013, John was the first to be inducted into the BC Restaurant Association Hall of Fame in the newly created Coffee category. In 21 years, JJ Bean has never closed a location. As a former Martial Arts instructor and Nightclub DJ – Jon took an unconventional path to becoming an adtech executive. 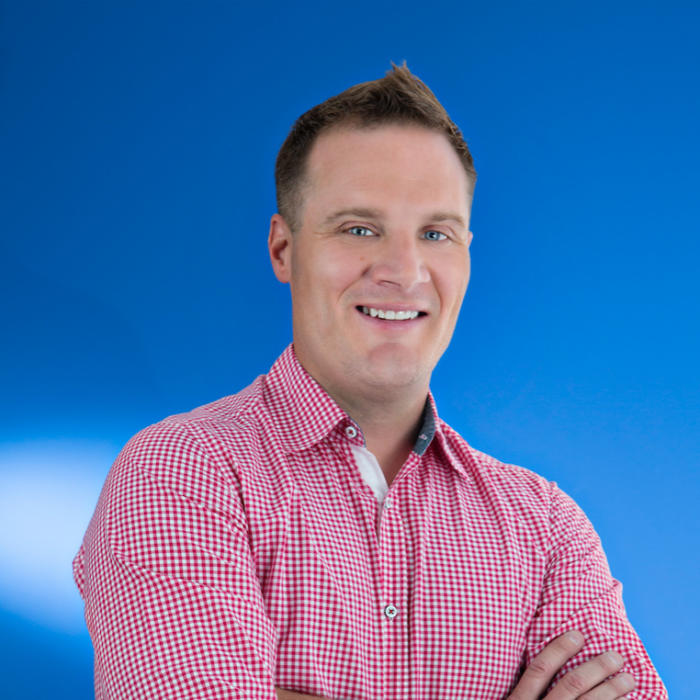 Now as CEO of Native Ads, the Vancouver-based company recently ranked #6 in the world by Entrepreneur.com for native advertising, Jon has made it his goal to introduce as many marketers as possible to both the opportunities and risks involved with Native Advertising. 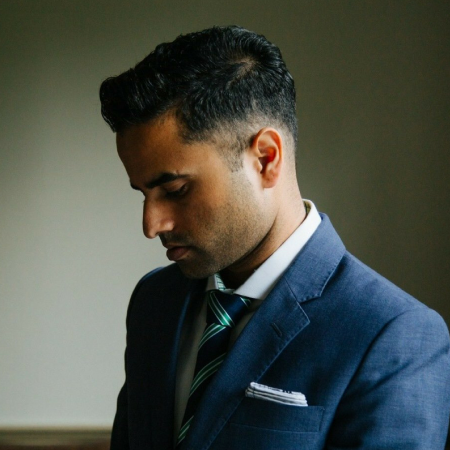 Karm Sumal, CEO and Co-Founder of Daily Hive, started Vancity Buzz in early 2008. What started out as a passion project now garners over 7 million page views a month. Karm works alongside a strong team dedicated to making Daily Hive the largest digital media publication in Western Canada. 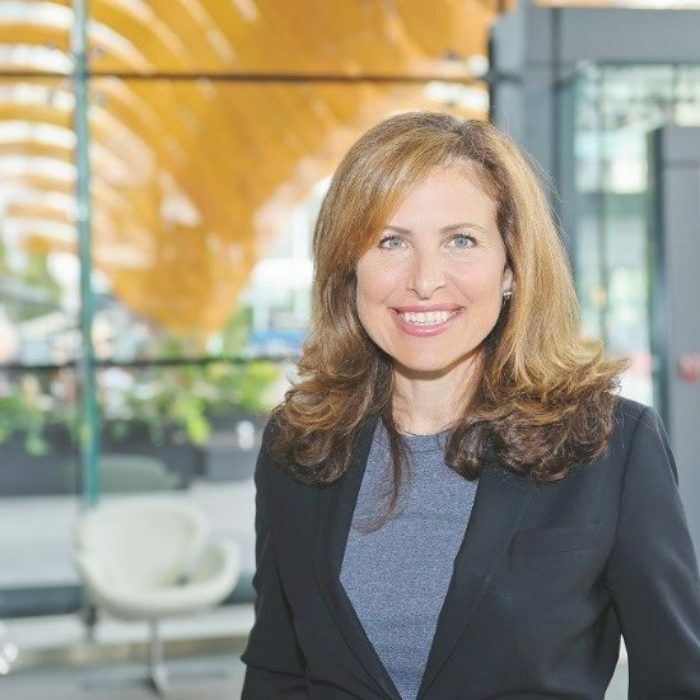 Katia Houbiguian is the CMO and leads the Central Marketing Organization at Microsoft Canada. She manages go-to-market, center-of-excellence, and operations teams to drive integrated digital marketing, advertising, social media, events, and analytics across consumer and commercial businesses. 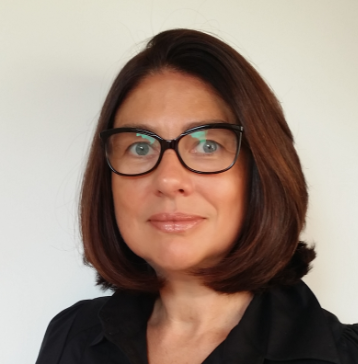 Prior to joining the Canadian subsidiary in January 2016, Katia held various roles at the Microsoft France subsidiary, including leading the Commercial Marketing Team and managing the subsidiary’s Business, Strategic Planning, and Operations. 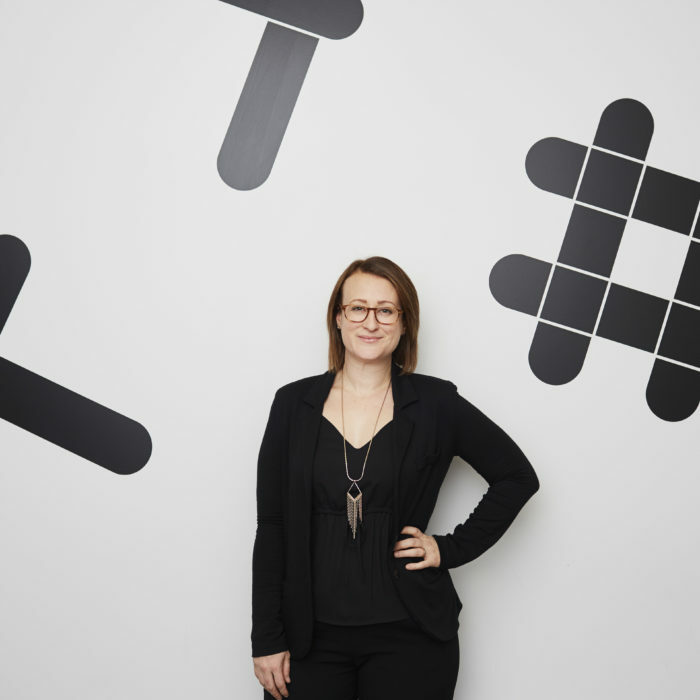 Kelly Watkins is the Head of Global Marketing at Slack where she oversees brand, product, platform, and growth marketing. Previously, Kelly led marketing at GitHub and Bugsnag, consulted on brand and marketing strategy for Intel and the Department of Defense, and ran communications at various nonprofit organizations. Throughout her career, Kristina has dealt with contentious societal issues associated with gender, religion and race. In each case, she has been able to create successful communications campaigns, managing to persuade the courts of public opinion. In 2016 her expertise in creating these campaigns was critically acclaimed by Time magazine which stated her team had: “mastered plain English press releases and media-savvy optics” and the Washington, D.C.-based Newseum awarded her a 2017 Freedom of Expression Award. Kristina Arriaga is an award-winning international human and civil rights advocate. Her clients and causes include Cuban political prisoners, survivors of female genital mutilation, and religious conscientious objectors in the United States and abroad. She was an Advisor to the United States delegation at the United Nations Human Rights Commission, appointed to the U.S. Civil Rights Commission and, in 2016, appointed by Congress to the United States Commission on International Religious Freedom where she serves as the Vice Chairwoman. 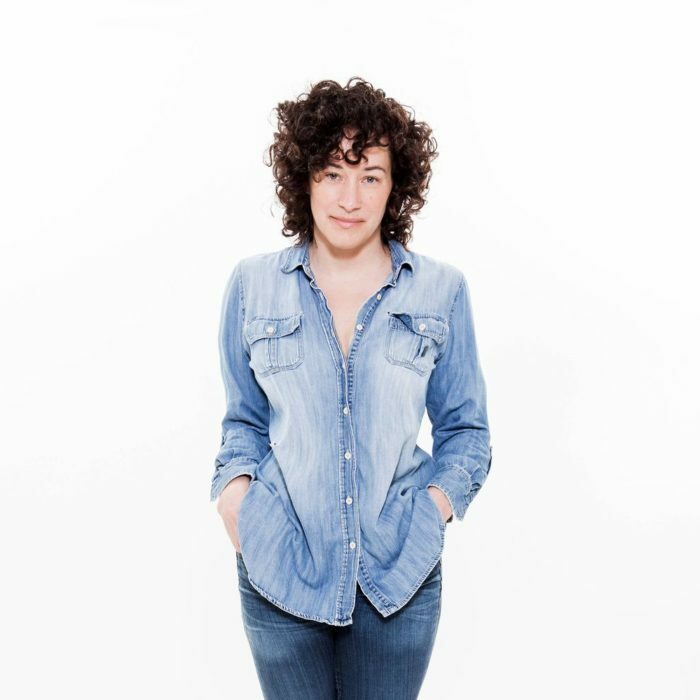 Leah is an enthusiasm enthusiast, award-winning media strategist, and Director of Amplification at Rethink. 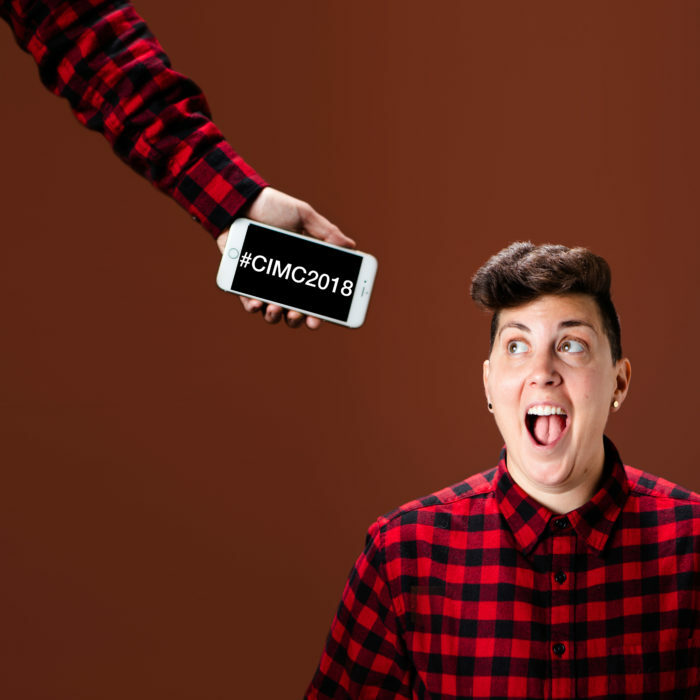 Her innovative approach to amplification and earned media has helped earn billions of impressions for Canada’s most viral advertising campaigns for clients like Uber, Molson Canadian, Sport Chek, and A&W Canada. Lital Marom is a serial-entrepreneur, a sought-after keynote speaker and a corporate innovator focusing on the intersection of business and technology strategy. She led the global strategy and sales of Fortune 100 corporations across three continents before going on to found four companies: UNFOLD Media Group, BDN Ventures, Beyond and The Academy of Tomorrow. She currently works closely with companies to design their strategic direction by integrating platform thinking and understanding the applications of distributed ledgers (blockchain), artificial intelligence (AI), machine learning (ML) and data. 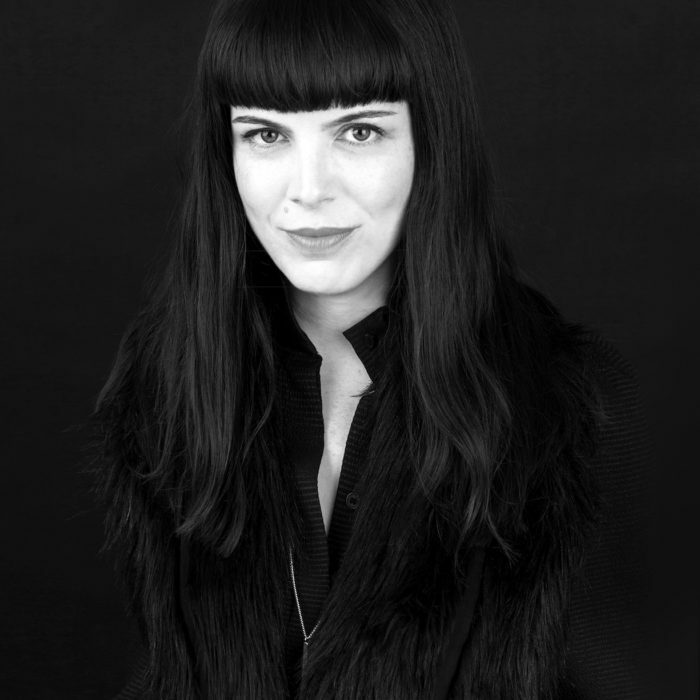 She worked with clients from a wide range of industries, such as GE, Vodafone, Allianz, BBC, Phillips and etc. Lital started her career in engineering and product management in Israel and Europe. She is a thought leader on agile business processes, impact, and transformation of digital businesses. Lori Joyce is an innovative marketer and has over twenty years experience creating, managing, and growing brands. In 2002, Lori co-founded Cupcakes with her best friend Heather White. Lori was responsible for developing the Cupcakes Franchise and growing it into a national chain. In 2010, Lori also became the co-executive producer and co-star in the Gemini-award winning reality TV show, The Cupcake Girls. The television show aired for three seasons and was broadcast in over 95 countries. Today, Lori Joyce is focused on building her latest venture, Betterwith Ice Cream. No compromise and all-purpose, Betterwith Ice Cream stands for honest, transparent and disruptive. The brand vision for Betterwith is to become tomorrow’s better food company, and one day, diversify beyond the ice cream aisle and into every other aisle where there is an opportunity to do better. Manu “Swish” Goswami is a 20-year-old TEDx speaker (signed with the National Speakers Bureau and The AAT Project), venture capitalist (at JB Fitzgerald Venture Capital founded by Brooklyn Nets PF Trevor Booker), LinkedIn Youth Editor (over 60K followers), UN Youth Ambassador, and serial entrepreneur. Swish is currently the co-founder of Dunk, a media network of over 10M followers hyper-focused on basketball and the founder of SuperFan, a tool to help influencers and celebrities discover, connect with and reward their top fans. 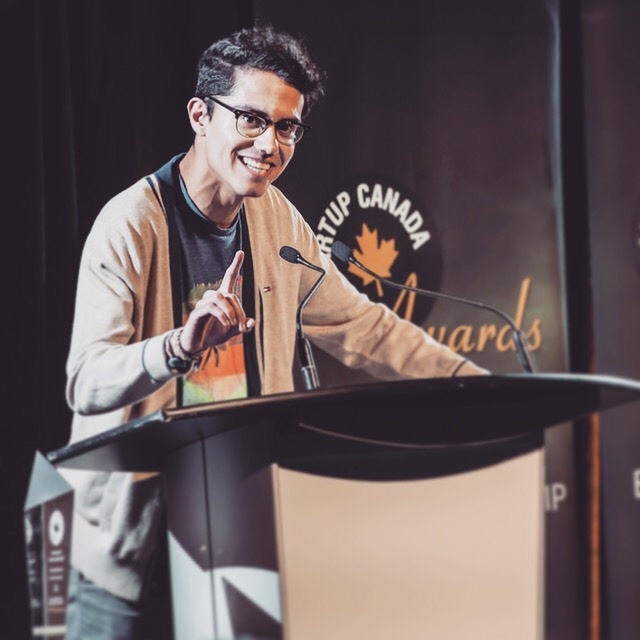 Swish has notably won Plan Canada’s Top 20 under 20, the United Nation’s Outstanding Youth Leadership award, and Startup Canada’s Young Entrepreneur of the Year. 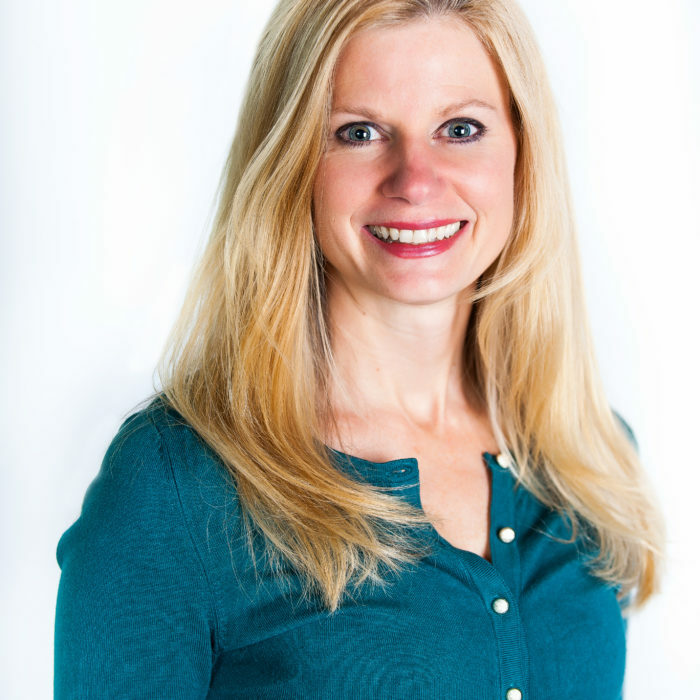 Michelle Slater is an award-winning marketer, with 17 years of leadership experience in strategy development, consulting and execution within social, digital, and traditional marketing disciplines for both B2B and B2C audiences. 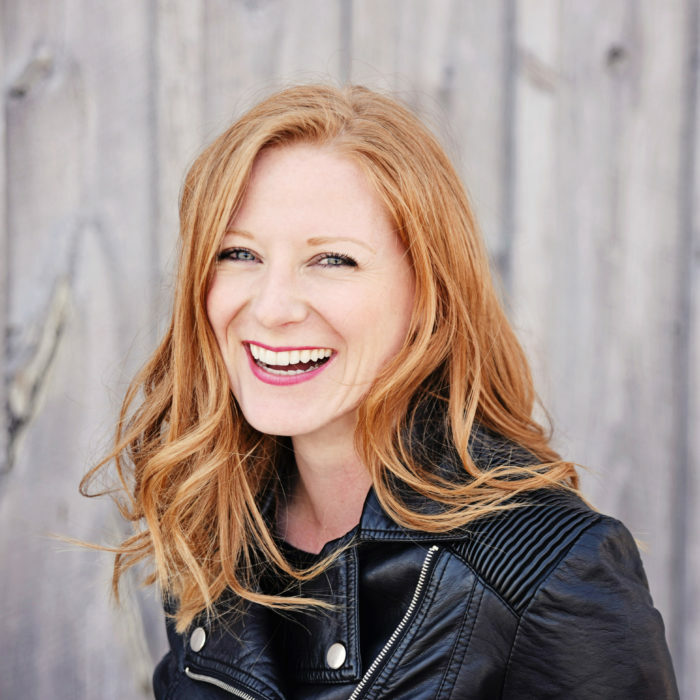 As the Head of Business Marketing at Twitter Canada, Michelle works closely with Fortune 100 companies to integrate Twitter into their marketing plans. Oli Gardner has seen more landing pages than anyone on the planet. He’s obsessed with identifying and reversing bad marketing practices, and his disdain for marketers who send campaign traffic to their homepage is legendary, resulting in landing page rants that can peel paint off an unpainted wall. 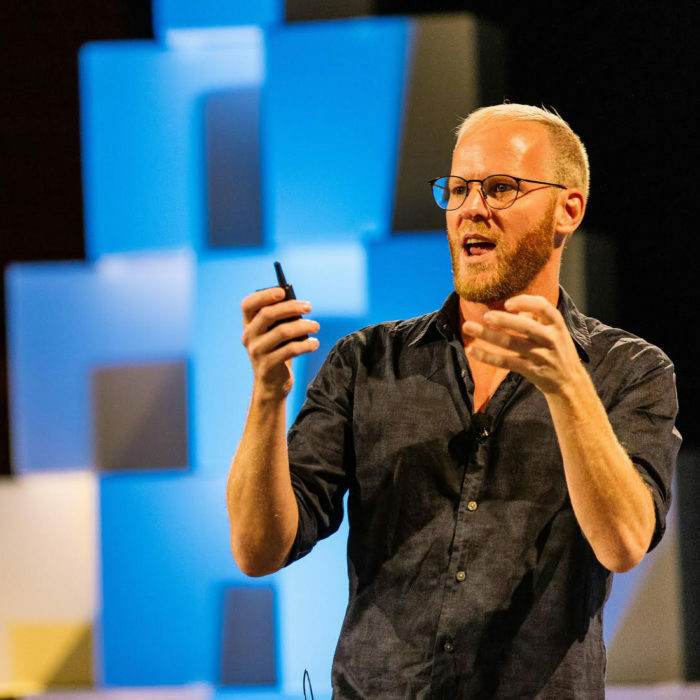 A prolific international keynote speaker, Oli is on a mission to rid the world of marketing mediocrity by using data-informed copywriting, design, interaction, and psychology to create a more delightful experience for marketers and customers alike. He was recently named the “The 2018 Marketer to Watch,” in the under 46 category, by his mother. 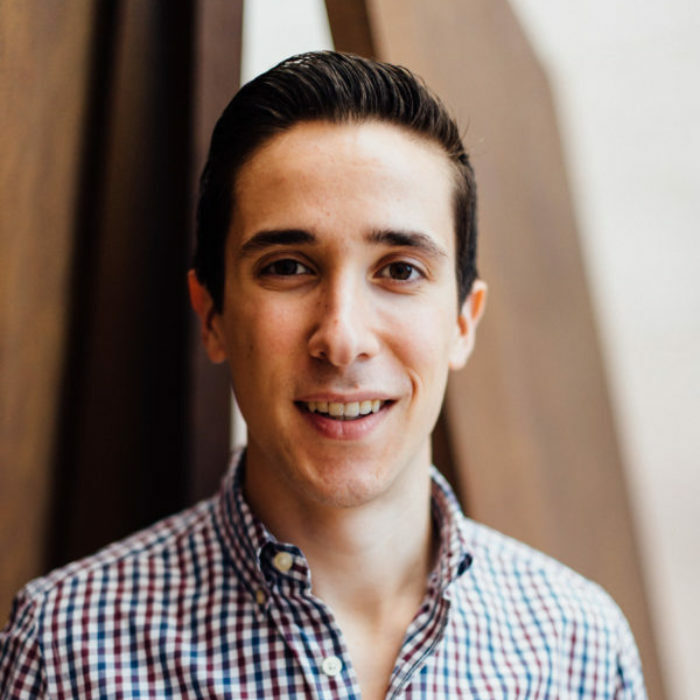 Oscar Roque is the AVP, Mobile Platform and Products at Interac responsible for the digital commerce and blockchain strategies. Previous to joining Interac, Oscar led strategy development and innovation in FinTech partnerships across several business areas including Retail Payments, Channels, and Personal & Small Business Banking for a major financial institution. Oscar speaks frequently to diverse groups about innovation and emerging technologies and has a passion for forward-thinking designs. In 2011, Pamela retired as Mayor of West Vancouver to start her own consulting business and pursue an executive MBA from Simon Fraser University in Aboriginal Business and Leadership. She also holds Bachelor and Master of Arts degrees in Political Science from the University of British Columbia. In Ottawa, Pamela works as both our MP and as Parliamentary Secretary to the Minister of International Trade. She has also served as Parliamentary Secretary to the Minister of Foreign Affairs. Her new role as International Trade Parliamentary Secretary has taken her to Vietnam, Singapore, Brunei and China for example, to promote diversifying markets for Canadian goods and services and Canada’s progressive trade agenda. She is very engaged in promoting the Canada-European Union Comprehensive Economic and Trade Agreement, the CPTPP and in deepening Canada’s ties to the Asia-Pacific region. In Ottawa and around the world, Pamela plays a leading role on the importance of women in business, politics and civil society. Mayor Heintzman grew up in Montreal and spent her university years at Ontario’s McMaster University where she received a BA in History. Patricia continued her studies and graduated from Sheridan College with a diploma in Photojournalism. She has spent most of her career in the publishing world as a journalist, editor, publisher, photographer, graphic designer and freelance writer. As an avid traveller, Patricia has travelled extensively and continues to find international adventure whenever possible. Patrick Givens has led the development of VaynerMedia’s global voice-first marketing programs, creating some of the most widely used interactive voice experiences for Amazon Alexa and Google Assistant. Speaking to audiences at events such as SXSW, AdWeek, Social Media Week, and many more, Patrick shares the “user-led, technology-enabled,” approach to developing innovative marketing products, brands, and new businesses for clients ranging from Fortune 500s to new-to-world startups. Part visionary business strategist, part data geek, Paula Skaper is Canada’s ‘Queen of Email.’ Her love affair with the internet began back when Netscape was new, and something called Telnet was revolutionizing communication. Paula led the teams responsible for Canada’s first user-updatable websites, helped introduce online banking to the US with HSBC Bank USA and led the team that developed London Drugs’ inaugural e-commerce strategy. For the past two decades, as the co-founder and president of Kinetix Media Communications, Paula has been at the forefront of marketing automation, pioneering the development of email-based lead nurturing and qualification programs. 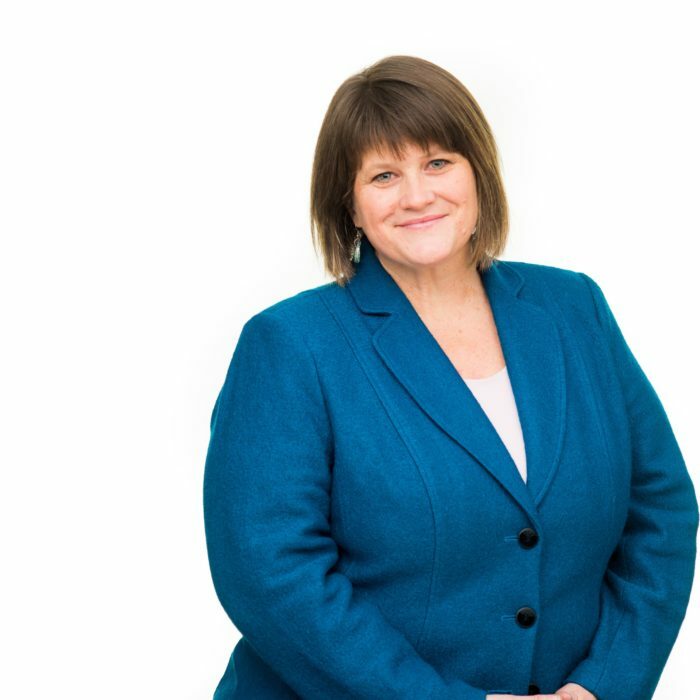 Paula is an active member of the Burnaby Board of Trade and currently sits on both the Women in Business Success Network and Government Relations Committees. Rashel is the Digital Social Media Manager for McDonald’s Canada and was Marketing Magazine 2016 Top 30 Under 30. At McDonald’s, she is developing the strategic presence of the brand on social media. 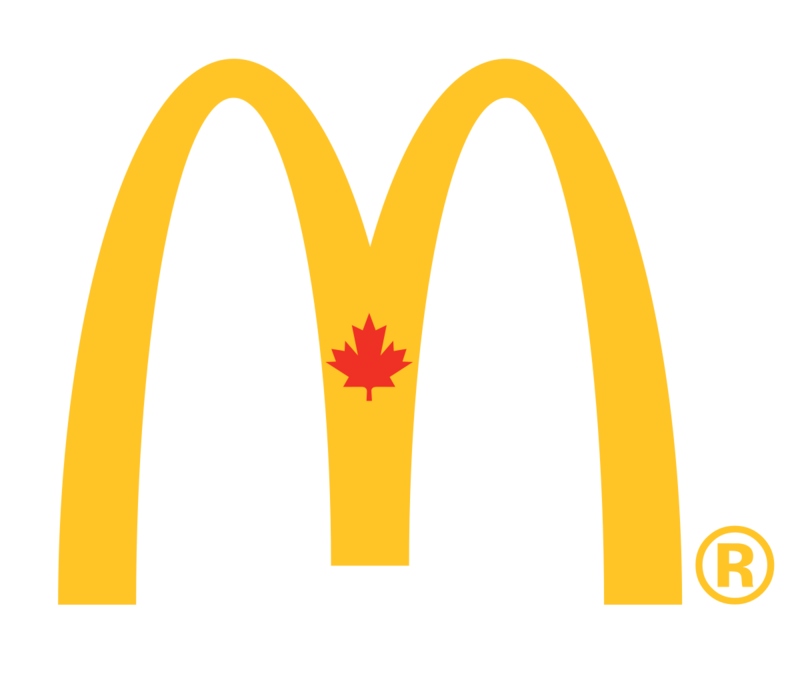 She is dedicated to elevating McDonald’s Canada’s social media footprint, and believes that deep social listening, testing, and measurement are essential for strategic planning and ROI. 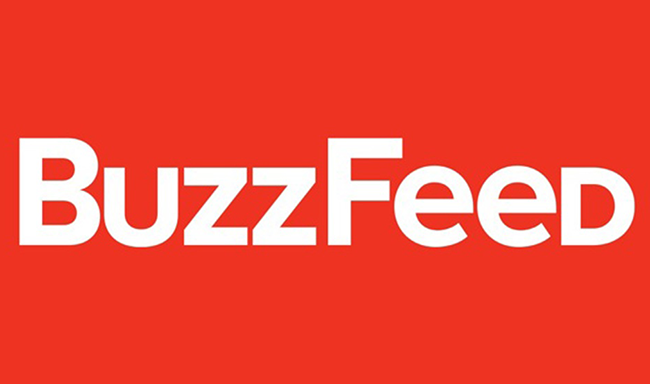 Richard Alan Reid is BuzzFeed’s International Executive Creative Director & Executive Producer. 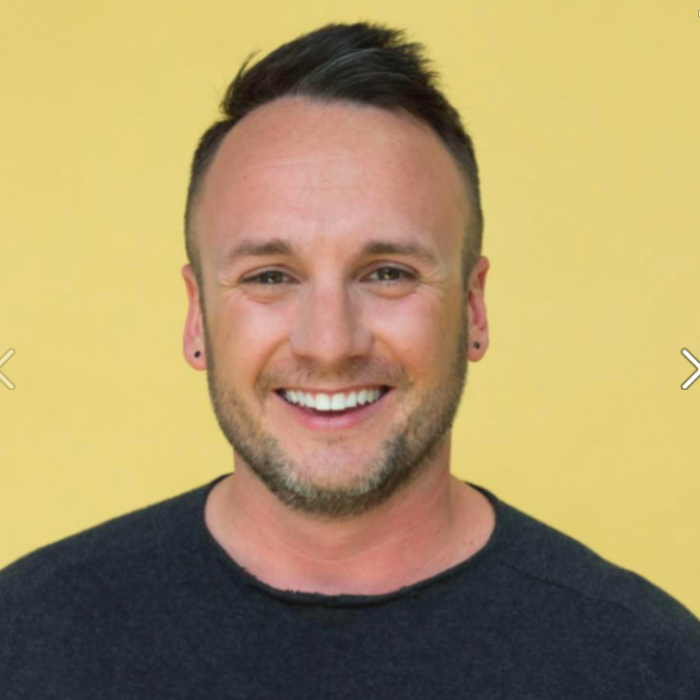 He leads the creative production and direction of branded videos, posts, franchises and episodic series for BuzzFeed’s editions in the UK, Europe, Australia, Japan, Canada, Brazil, Latin America and new markets. Richard has written and directed countless video campaigns for major brands including GEICO, Citibank, Amazon, eBay, BMW, Sky, 20th Century Fox, Nestle and Google. He is also an actor, comedian and award-winning filmmaker, who has written and produced feature films, scripted series, and reality TV shows. Richard is based in New York. 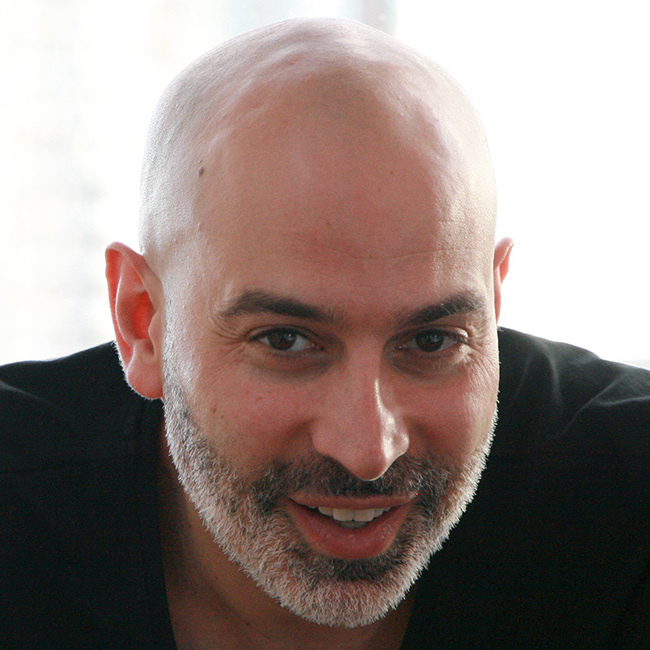 Rob Khazzam currently serves as General Manager for Uber Canada. Prior to his current role, Rob oversaw international expansion and operations for Uber in Central and Eastern Europe from 2014 to 2017. Over this time, Uber launched in over 30 cities and 9 countries, serving millions of riders and drivers. A 22 year survivor of the design industry, Shawn is the founder and Principal at Forge and Smith, a father of two, a wannabe ninja, and an emerging foosball star. He’s always focused on creating simple and easy-to-use interfaces grounded in sound structure and focused strategy. An alumni of the Sauder School of Business (Marketing, Sustainability, Entrepreneurship), Shay has a broad marketing toolkit. Shay started his career working in advertising with agency GREY Global Group, who works with brands P&G, GSK, the NFL, Kellogg’s, Volvo and more. Shay than transitioned into Brand Management with L’Oréal, where he managed Garnier Ombrelle Suncare. 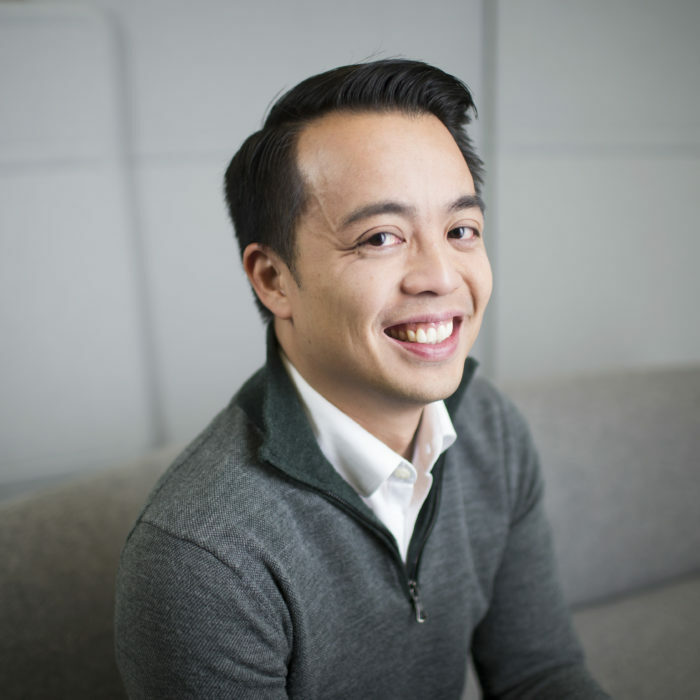 Finally, Shay relocated to Seattle to work as a Brand Specialist with Amazon, where he helps grow ‘Tier-A’ brands through Amazon-specific marketing, and other growth development initiatives. Outside of work, Shay is the Marketing & Business Development Director of Osmos Academy, a non-profit initiative with a mission of bringing emerging technology to the wider community, creating projects of positive social impact. 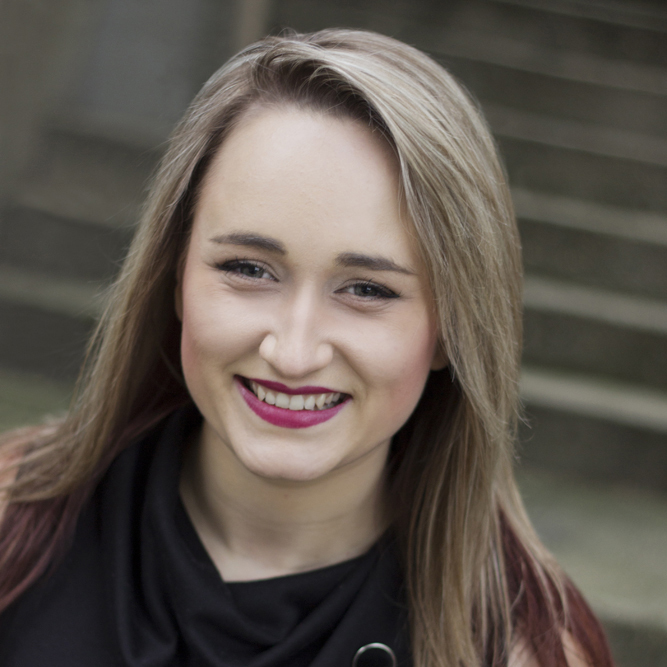 Shay is also mentor for Sauder’s Brand Management Mentorship Program. In his spare time, Shay enjoys traveling (23 countries and counting) & triathlons.